This is the second part of the article about Hooking up Thunderbird to Exchange via DavMail (I). During the first one, it was put forward how to configure DavMail so as to work as gateway between Thunderbird and Microsoft Exchange. 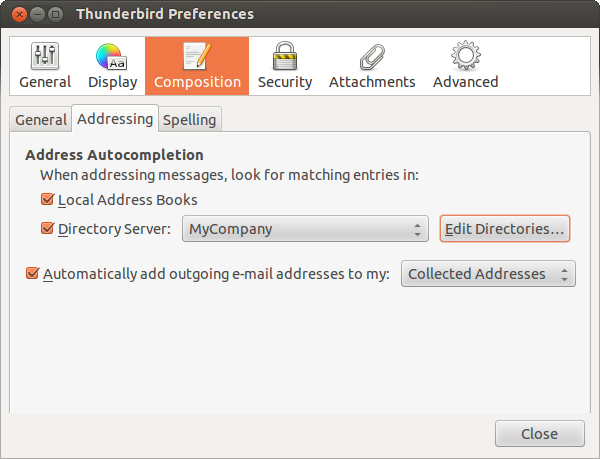 The next step is to set up Thunderbird in order it to point to the new services that remain listening through DavMail. 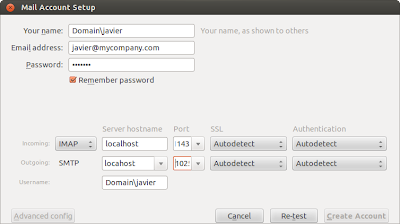 You can appreciate by means of the following figure that, the credentials for the email account and the address and port where the services started in DavMail are running, have been set. 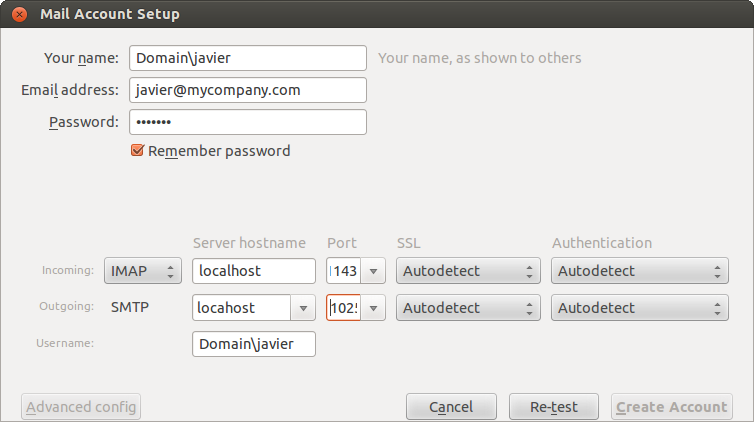 And finally, you can add a LDAP directory to be able to look up people from your company. 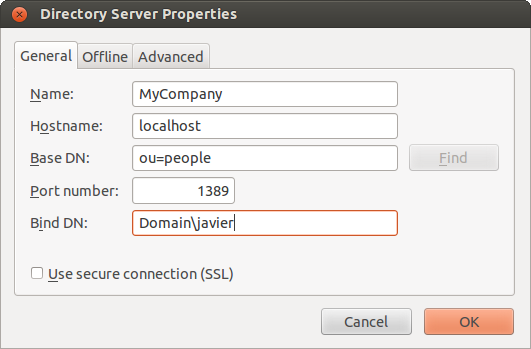 For this purpose, open the Address Book and go to File, New, LDAP Directory, and fill in the information required for the directory server. If you want Thunderbird to automatically search for possible addresses (in the LDAP server previously configured) when you are composing an email and typing the recipient, enable the next option in Thunderbird Preferences.